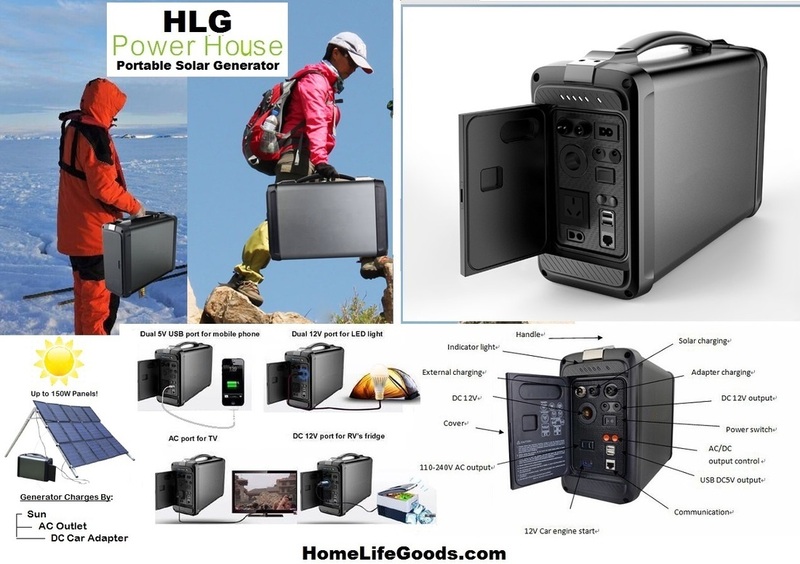 Providing 50+ Continuous Hours of portable power per charge...now you can have limitless power for your laptops, small appliances, mobile lighting, etc. ANYWHERE! Generator charges using the Sun or any AC Outlet or CAR/DC...and be on your way! NEVER be without power with this rugged, easy-to-use mobile unit! 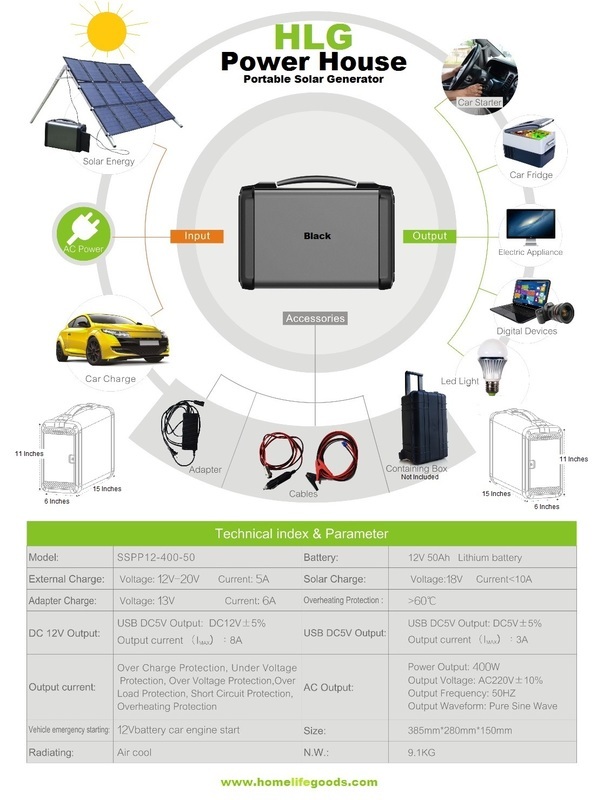 * One Inverter (Power Load 500 Watts) Powers More Items! *Panel units also work autonomously...charging laptops, phones, etc.